When it comes to events, we have your group covered! From small intimate dinner gatherings to large cocktail hours with the best views in town, we have it all. Wondering how to make your group have the best night ever? 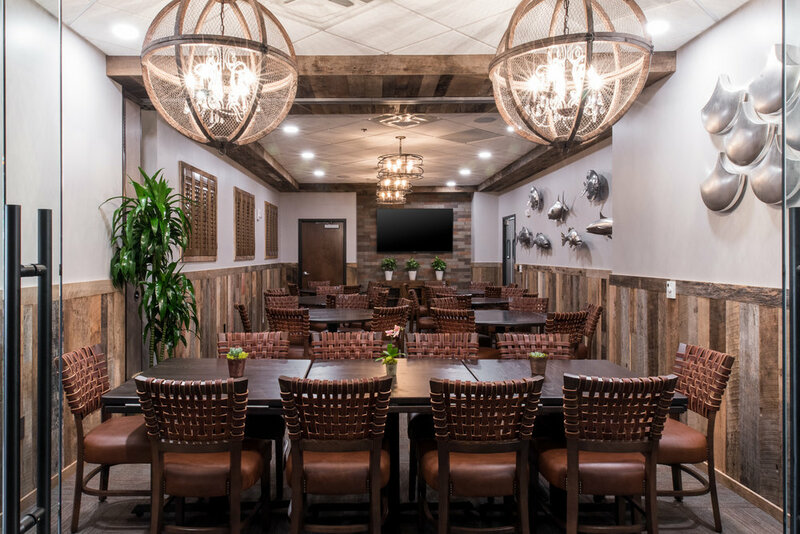 Find your perfect event space below and then email our Events Coordinator at events@riverandpostjax.com. Combine this space with seating from our main rooftop patio to accommodate up to 150 guests. 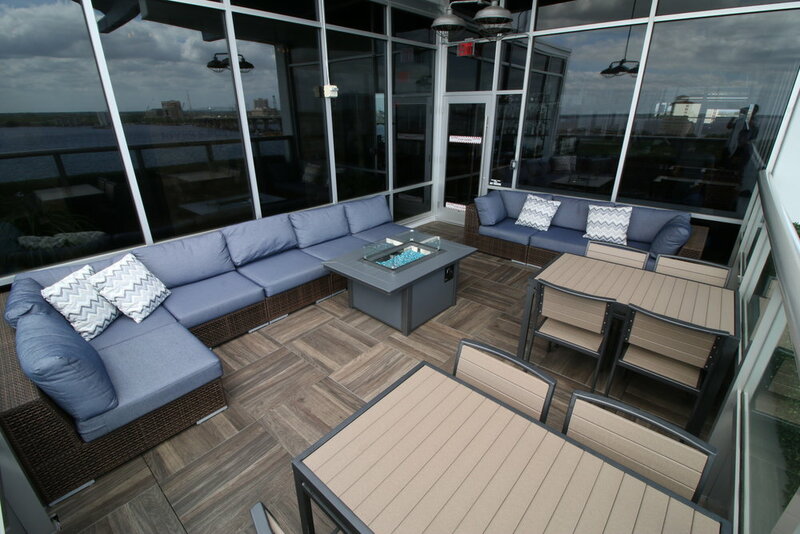 Our rooftop lounge spaces can be contracted Sunday - Thursday nights only. All seating on Friday and Saturday nights is first come, first served. We do offer daytime rentals for both spaces Sunday through Saturday for an additional charge. There are some restrictions on days and times that Private Events can be contracted at River & Post. Food & Beverage Minimums for the Rooftop Lounge are determined based on guest count, space required and time frame. Food & Beverage Minimums downstairs give your group access to the space for an extended period of time. Please contact our Events Coordinator for more specific information regarding our F&B Minimums. Please visit our FAQs page here for more information on parking, large parties and hours of operation. Thank you for choosing River and Post for your special event! We will respond to all requests in the order at which they are received as all events are booked on a "first contracted" basis. Your understanding and patience is appreciated as we work to plan your best event yet!